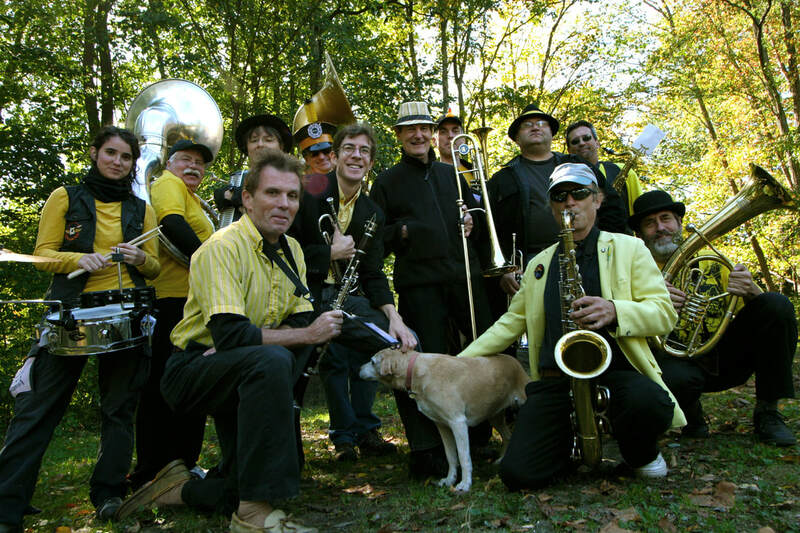 Loud, raucous, and full of fun, the Expandable Brass Band is dedicated to spreading joyful music to the people of Western Massachusetts and beyond. They are most excited about playing in streets, in parks, parades, on the sidewalk, and anywhere the audience is close and at their level. They strive to be up, moving, and interactive. They are completely self-organized, without a leadership hierarchy, and most of all, they are expandable, welcoming all and becoming what their members want them to be. They welcome all to join in—that’s what being expandable means. Whether you play a traditional marching band instrument or an nontraditional one; whether you’re a professional musician, a lapsed amateur, or a complete novice; whether you play by ink or by ear, there’s a place for you in the Expandable Brass Band. Please speak to a member at a performance for more details. The Expandable Brass Band will be on hand to spread the news of the Northampton Jazz Festival throughout downtown and to guide attendees from one venue to another.